Message of Hope: God designed family to help each other. Take the time to read and answer the following questions. If you'd like, you can share them in the comments section of this blog entry. Remember, there are no right or wrong answers. 1. Why do you think Naomi is taking the responsibility to find Ruth a provider? 2. What might be the differences, if any, between a provider and a husband? 4. 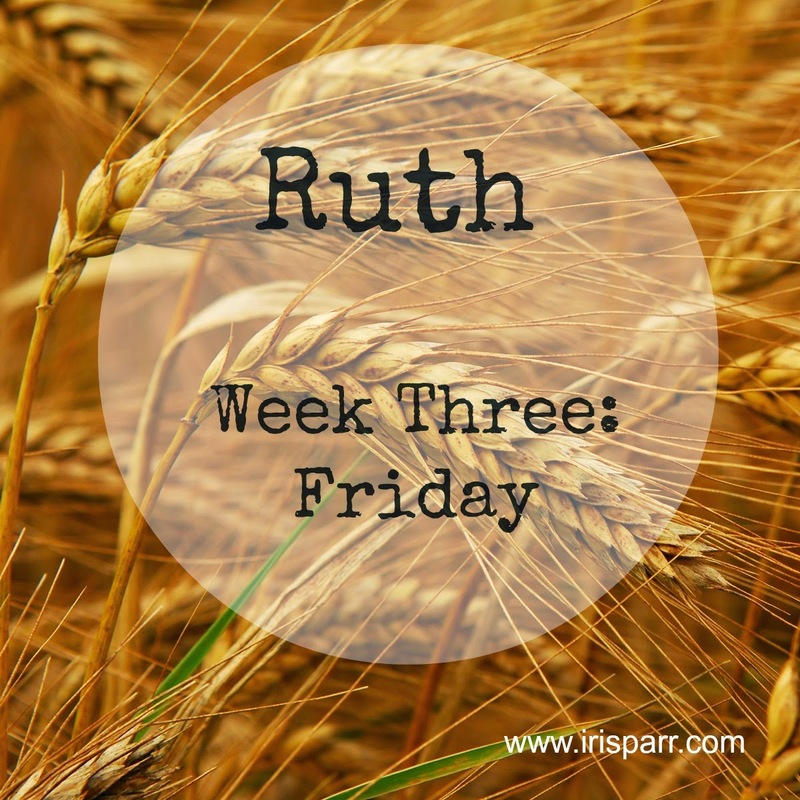 Ruth has a reputation in town of being a virtuous woman. How would we describe the character qualities of a virtuous woman? 5. What virtuous characteristics do we see in Boaz? It was the role of the parent to find a spouse for their child, in those times. I think that anyone can be a provider- someone who provides the essentials for survival like food and shelter. A husband’s role includes this, but more. Intimacy on an emotional and physical level is a bit more than a provider in the sense of ‘family redeemer’ would be, in my thinking. That would be reserved for a husband. Perhaps, in her own way, Naomi is taking on the role of ‘family redeemer’ as well? Preparing Ruth to meet their ‘family redeemer’ and Ruth’s future husband. In a way Naomi is Ruth’s ‘family redeemer’ as well. Unfortunately there isn’t a Proverbs 31 for men, but there sure are examples throughout the bible of a virtuous man and I believe that Boaz possessed each one of these virtues. (Psalm 32:2)Blessed is the man unto whom the LORD imputeth not iniquity, and in whose spirit there is no guile. (Acts 10:1-2) There was a certain man in Caesarea called Cornelius, a centurion of the band called the Italian band, A devout man, and one that feared God with all his house, which gave much alms to the people, and prayed to God alway. (Psalm 119:165) Great peace have they which love thy law: and nothing shall offend them. (Psalm 37:31) The law of his God is in his heart; none of his steps shall slide. (Psalm 77:2) In the day of my trouble I sought the Lord: my sore ran in the night, and ceased not: my soul refused to be comforted. (Genesis 24:26) And the man bowed down his head, and worshipped the LORD. (2 Thessalonians 3:10) For even when we were with you, this we commanded you, that if any would not work, neither should he eat. (Genesis 18:19) For I know him, that he will command his children and his household after him, and they shall keep the way of the LORD, to do justice and judgment; that the LORD may bring upon Abraham that which he hath spoken of him. (Joshua 24:15) And if it seem evil unto you to serve the LORD, choose you this day whom ye will serve; whether the gods which your fathers served that were on the other side of the flood, or the gods of the Amorites, in whose land ye dwell: but as for me and my house, we will serve the LORD.